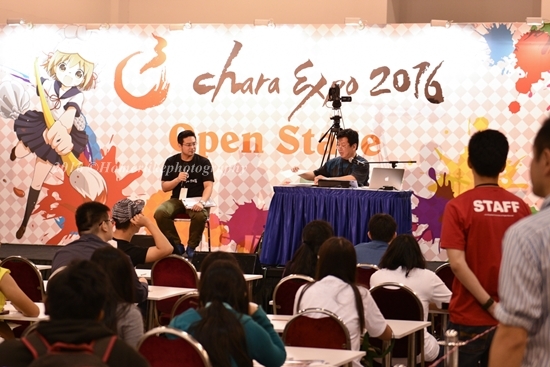 C3 CharaExpo is back with more exciting stage activities, new featured guests and wider array of merchandise! 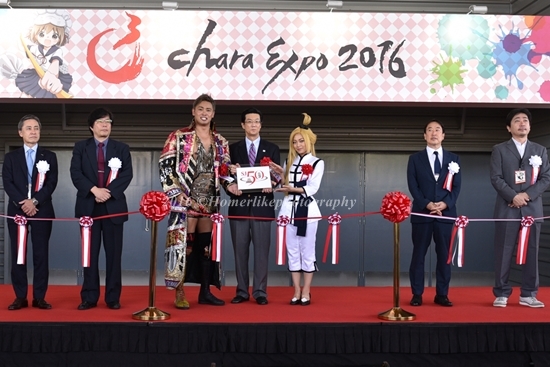 Opening the much anticipated event was Kazuchika Okada (オカダ・カズチカ), the four-time and current heavyweight champion of International Wrestling Grand Prix (IWGP) and the renowned voice actress Suzuko Mimori (三森 すずこ), the voice behind Sonoda Umi (園田 海未) from the popular school idol anime series, Love Live! 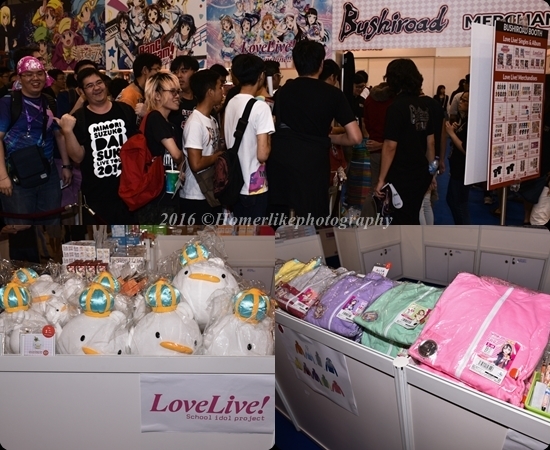 The first place you might want to visit is the Bushiroad store where you can get your dose of Love Live! products once you get past the long winding queue (expect the queue to start right from the opening hour...). If you are a Gundam fan, the Bandai booth would be the place for you. You might want to check out their new Star Wars collection. 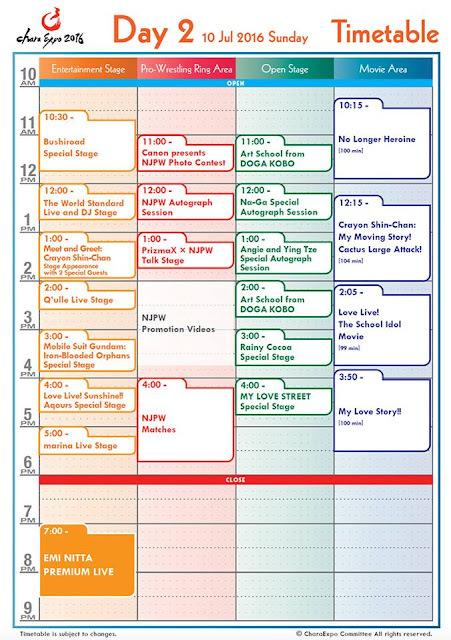 The two stages located opposite ends of the hall (Open Stage and the larger Entertainment Stage) are where you are able to catch the glimpse of guests on both days. 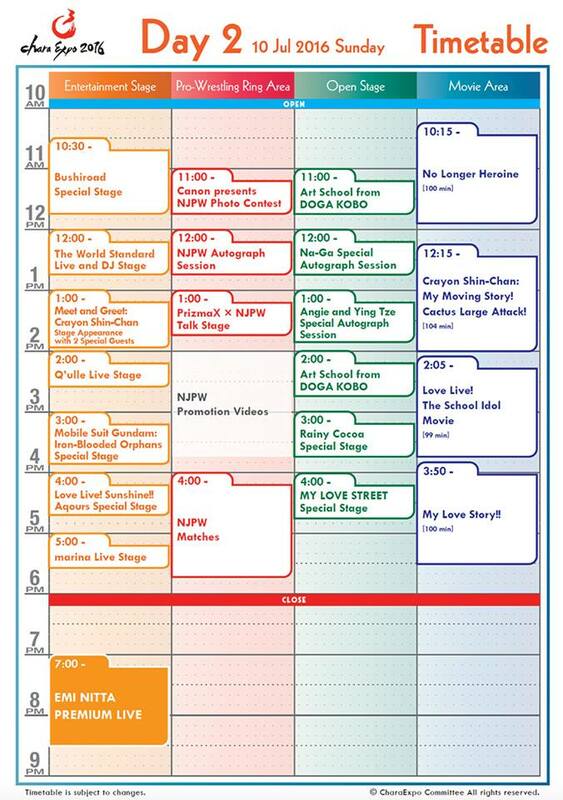 Visitors may participate in Anime drawing workshop organized by ASO College Group's animation school in collaboration with ParentheXis at the Open Stage or catch one of the many mini live stage at the Entertainment Stage at no additional cost! 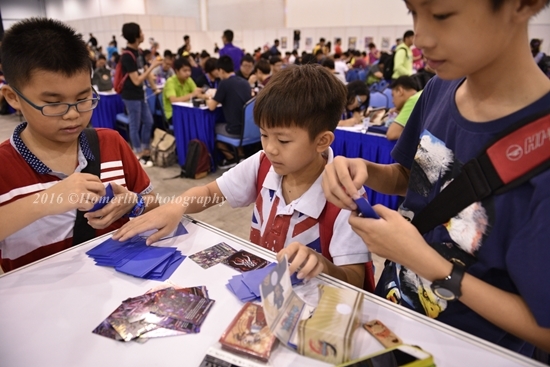 Huge fans of card games like Cardfight!! Vanguard, Future Card Buddyfight and Weiss Schwarz can battle it out at the Card Game Area or even purchase new card sleeves and booster packs at the nearby retail stores. 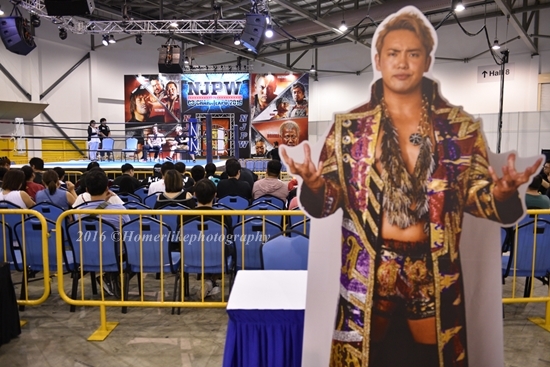 If you are into pro-wrestling action, the 12 professional wrestlers, including Kazuchika Okada (オカダ・カズチカ), from New Japan Pro-Wrestling (NJPW) would certainly make your blood pumping during their live scheduled match up close at the NJPW Area. 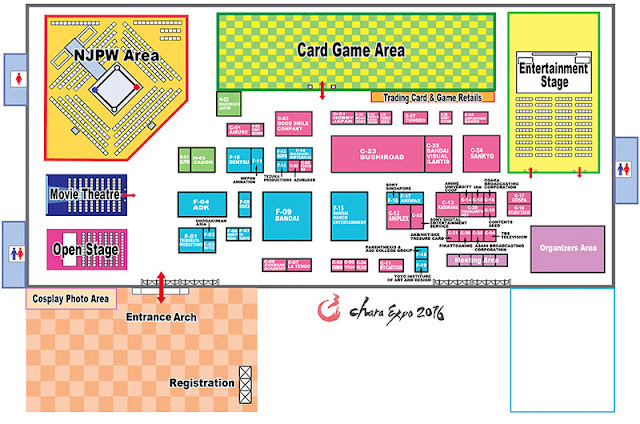 So, please join me in a few hours time for Day Two of C3 CharaExpo 2016 at Singapore Expo!